It is mandatory for all businesses in the US to keep their commercial premises compliant with ADA (Americans with Disabilities Act) guidelines. The Act defines rules and regulations that must be complied by every business that operates out of a building. This makes it necessary for building owners to use products and equipments that help comply with the ADA laws. In this category of products, there are commercial automatic door openers for disabled individuals. These openers are simple small devices that open the door automatically. The door opens up after receiving the signal which can be relayed to it through a switch, the remote or a sensor. Commercial automatic door openers for disabled individuals are simple additional units that are installed to open the doors automatically. The motors and other electronic components used in the opener, control the opening and closing mechanism of the door. There are three types of door systems that are generally used at commercial establishments. One design that moves on hinge is similar to the doors installed at homes. Another is the sliding type that slides on the railing on the ground, and the third is the revolving type that generally has four glass panels. Automatic door openers are available for all types of door designs. Some of the commercial automatic door openers for disabled people combine other components such as sensors to detect the presence of a person or something at the door. There are also remote and switch systems that are used to operate the door opener. The door opens instantly after receiving the signal from the remote, switch or the sensor. For the sliding doors, the opener with motorized system is used. This opener pushes and pulls the door sideways for opening and closing the entrance. The door-mount system is used to open the doors that move on the hinge. For proper installation of these door openers, it is important to use the services of contractors who specialize in this type of work. We have the necessary expertise and the right tools to install such products properly. While simple home systems can be installed without professional assistance, the commercial automatic door openers for disabled individuals require hiring contractors who offer such installation services. 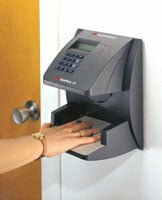 These door openers are used extensively all over the country at commercial establishments and buildings. It means, a wide range of dealers and support systems for these products are available almost everywhere. If something goes wrong with the unit then the defective items can be repaired or replaced easily. Individuals with disabilities appreciate the convenience of automatic door openers at commercial premises. Such a system presents the company to the customers and public in a positive light. Nowadays, even small businesses and offices install commercial automatic door openers for disabled people. Automatic door openers require electricity to operate. If there are power outages then these units can be run using the battery or any other power backup system. Automatic door openers not only assist people with disabilities but also make the door opening easier for elderly, children and workers carrying load.